1 Create system/ schedule: Starting with first tip we have stated that creating some schedule or system for your editing task is really very helpful. You need to think that when you perform editing task you always have done it without proper planning and scheduling which has made editing so horrible for you. But you don’t worry just plan and schedule your editing tasks you definitely find it easy and less gruesome than before. Once you made your perfect schedule then you will become able to make it do faster. Keep in mind that your schedule must be like that you can easily follow. Schedule enough time to your editing task depending on the difficulty level it has. The only thing that you need to focus is your routine will not get disturbed or get hindered because of any other task. That why plan your priorities accordingly considering the time that you want to spent on each single task. So think about your plans and editing and do it before its deadline. You can put it on the calendar or checklist some of the important tasks whatever you do just do it sensibly. 2 HAVE UNIQUE PRESET: Another expert tip that you can concentrate on is preset. This is the most important tip with which you can easily save your time that you can utilize on the other important tasks. Have not created presets yet just go to create them first. This is the big advantage that is available in both the softwares like lightroom and abode photoshop. You can understand preset by specific instructions that gets stored in a file which you want to apply on the photograph. Create your own preset that you want to make for every image. You can include basic settings in your own preset that is requires to tweak every image. It will save your time and efforts as on one single click you can get your image tweaked with the help of presets. One more thing to know is that you can use preset in two ways that is you can make it an import preset and use it as LR In which it is applied to every image when you import it to LR or can you can use it as develop preset and apply it when you go for editing. Now you don’t need to go for basic editing for every single image you can easily do that with the help of preset on single click and move to further editing that is exposure, white balance that varies from image to image. Creating preset is very easy, you only have to go to the top bar and select new preset which is available under the develop tab. After that a dialog box will appear through which you can select or deselect the adjustments that you want in your preset. Name them and locate the preset at your required location and then hit create. 3 BATCH EDIT: The next useful tip to ensure speedy workflow is batch edits which multiplies your speed two times. If you haven’t heard about it then, you surely are going to love this amazing tip. This is feature which simultaneously allows you to edit the images. This works on the set of the images that are from the same direction and location. You can effectively use it by applying baseline preset to one particular image and then select all the similar images in one batch after doing the necessary adjustments. All the adjustments are automatically applied to the entire set with the help of LR. Now thoroughly examine the images and check if any image needs white balance or exposure adjustments. If you are well-versed with the term then try to learn about how to apply that. First start with, editing of first image in the set and then press shift and click on rest of the images in the set. Then click sync option located at the right hand of the develop module. The dialog box will appear asking about sync option that whether you all want to sync, uncheck those you don’t want to sync. This is the mind-blasting feature which not only saves your time but also lots of efforts. Conclusion: To sum up, I want to say that speedy workflow is everyone’s requirement but fulfilling this requirement you have to be trained and experienced along with every brilliant tip and trick in your mind that makes you faster than the others. 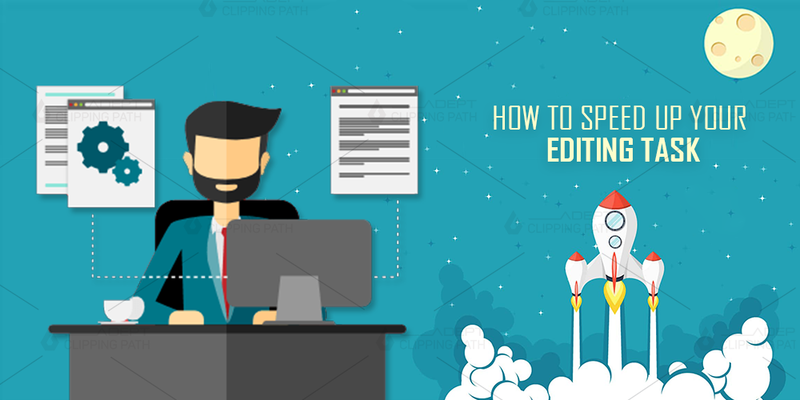 Just try these tips these will surely make your editing tasks very efficient. I also want to add one more bonus tip for all the wedding photographers. I want to recommend to them to go for editing first their favorite images or blogs. You will enjoy that and also can do batch editing with that images to several other images.